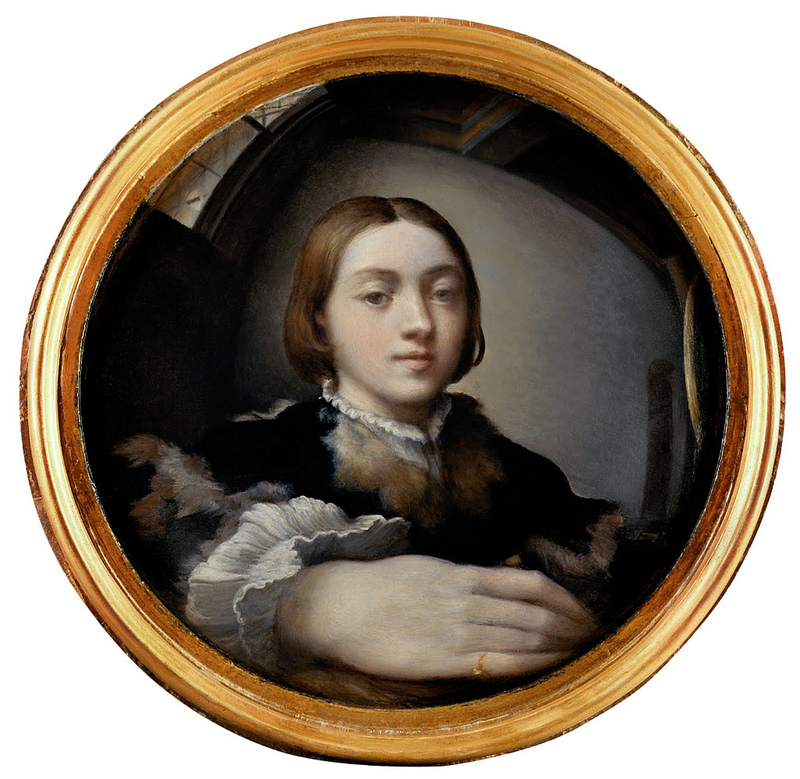 The future master of Mannerism, Girolamo Francesco Maria Mazzola—later to be known as Parmigianino—painted this virtuosic Self-portrait in a convex mirror in 1524. He hoped “that it might serve him as an introduction letter … to the professional art-makers” (Vasari, Le Vite). Parmigianino was twenty-one. By the end of the century, the painting had changed hands several times, ranking a pope, a poet, a sculptor, an architect and an emperor amongst its owners.